By importing our excellent Grand Cru Champagnes, our prime focus at First Growth Wines is to bring to Australia wines of the best Quality, Value and Distinction. "This is our favourite champagne whenever we are in France. We first found it in Beaune at La Grande Boutique du Vin (also the world's greatest selection of burgundy). Rather boringly it is about the only champagne we drink in France, certainly in burgundy. The fruit, the yeast notes and the fantastic acidity make for a wonderful aperitif. We are now delighted to be able to share these wines in Australia." Now available in Australia. Bernard and Michèle Brémont started their Champagne house Bernard Brémont in 1965 in Ambonnay, a small Champagne village on the Montagne de Reims. Bernard has now handed the reins to his son Thibault and daughter Anne who continue the tradition today. Their vineyard holdings are 12 ha of Pinot Noir and 3 ha of Chardonnay – the two noble varieties of Champagne. The vines are planted on calcareous clay soils and have an average age of 30 years. The vineyards are situated 98% in the commune of Ambonnay and the remaining 2% in the terroir of Bouzy. These 2 communes are both classified as Grand Cru at 100%. There are in excess of 300 communes that are allowed to carry the appellation Champagne yet only 17 of these can bear the appellation Grand Cru 100%, and of course amongst these are Ambonnay and Bouzy. 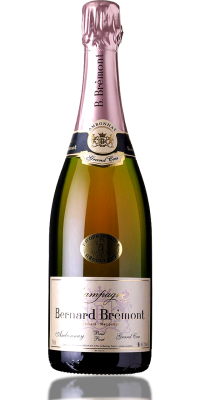 Of particular interest is that grapes from Ambonnay vineyards are the source of Krug’s Clos d’Ambonnay champagne - the most expensive champagne in the world. The Krug family describes Ambonnay as the Margaux of Champagne. "The Champagnes include the mesmerizing 2009 Louis Roederer Blanc de Blancs and surprising Brut Nature 2006, the wonderful 2006 Taittinger Comtes de Champagne, Boizel’s very good non-vintage , the 2004 Dom Perignon Rosé (lovely, but beware the price!) 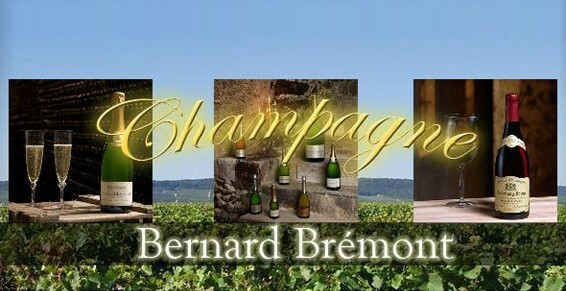 and three wines from a new import, Champagne Bernard Brémont . The last are being imported by the recently-retired chief sparkling winemaker for Treasury’s Heemskerk, Abel’s Tempest and Yellowglen bubblies, Charles ‘Chilly’ Hargrave. "Hargrave, now a Sydney resident, decided to bring in his favourite grower Champagne. 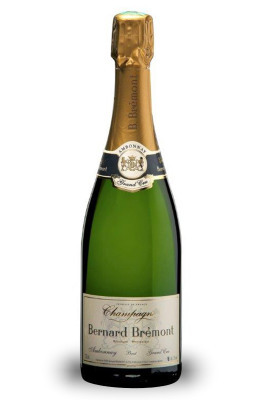 Brémont is based in the grand cru village Ambonnay on the Montagne de Reims. I’ve reviewed three wines: the regular non-vintage, a non-vintage prestige cuvée and a 2008 vintage. All are grand cru wines, and all excellent – rising in quality with price as you’d expect. The prestige cuvée and ’08 vintage are exceptional wines and great value." This is a blend of 70% Pinot Noir and 30% Chardonnay. The core of this non vintage champagne is from the 2013 harvest, but with the addition of significant amounts (30%) of aged reserve wines. The 2013 vintage was one of moderate yields with a cool summer resulting in a late harvest with high acidity. This wine has spent nearly 4 years on lees prior to disgorging in September 2017. It shows wonderful aromas of brioche and fresh fruits while the palate is long and fine with Pinot Noir giving depth of flavour and the Chardonnay elegance. 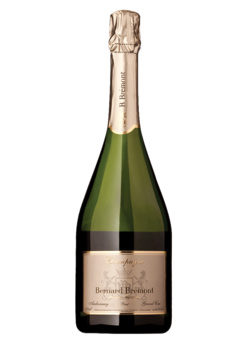 ​"Bernard Brémont captures the poise and power of Ambonnay in a style that contrasts pear and apple fruit with the roast hazelnut complexity of bottle age. Acidity and dosage meld in a harmonious finish, energised by the fine chalk minerality of the village, with just a touch of phenolic grip closing." Although the Village of Ambonnay is most famous for its Pinot Noir, it can also give us wonderful Chardonnay. I believe the adjoining village of Trépail produces the best Chardonnay on the Montagne de Reims. This Cuvée Prestige NV is a blend of 70% Chardonnay from the 2012 vintage and 30% Pinot Noir from 2011. These were two contrasting vintages. The harvest in 2011 followed a cold, wet season marked by high acidity. The 2012 season again started wet, but was followed by a cool and sunny summer. This allowed for perfect ripening of flavours while retaining high acidities. This NV blend has a higher proportion of Chardonnay than normal because of the excellent quality (and volume) of the variety in 2012. It carries the power and structure that we expect from Ambonnay, but with the freshness and tension that we find in the best Chardonnays. The grapes for this Grand Cru wine has been selected from those vineyard parcels with the best exposure. It is composed of a blend of 55% Pinot Noir and 45% Chardonnay. The 20011 season is described by many as miserable because of disease issues arising from a cloudy and moist summer. The CIVC allowed harvest to start very early with many vineyards still unripe to avoid the evolution of mould flavours. However, there is a lot of variation amongst vineyard practices in Champagne. Those well managed vineyards that avoided any appearance of rot were able to to wait and harvest fruit with more flavour and a pure acidity. Such was the case with Bernard Brémont. One of the striking features of their vineyards is the management by Thibault Brémont. Throughout the growing season he virtually lives amongst the vines. They had virtually no incidence of disease and a strict picking regime allowed pristine fruit to be delivered to the cellars. This wine, after 7 years on lees, is drinking beautifully showing the wonderful ageing qualities of the Grand Cru vineyards. It is in a finer style than the 2008, but still shows a perfect balance of Pinot Noir and Chardonnay. ​This NV wine is a blend of Pinot Noir (80%) and Chardonnay (20%). 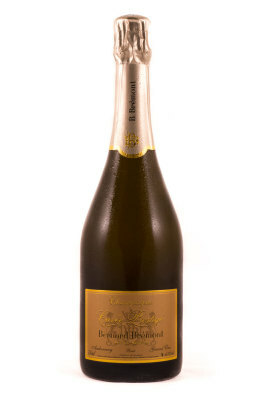 Made in a similar style to the standard Grand Cru Brut NV, it also has the addition of nearly 10% of Pinot Noir red wine. This is made by Thibault in the Brémont cellars using traditonal red wine making techniques. It is then aded to the blend prior to tirage (bottling) in a proportion that best brings harmony to the components. Since he does not blend to a recipe the wine can vary in colour from one year to the next. ​This wine carries the house style of elegance and complexity, however, as with many rosé champagnes, it has more substance than the finer Grand Cru Brut NV and is more suited to consumption with richer foods. ​"A bright, medium crimson hue heralds a characterful rosé with musk, wild strawberries and frshly picked raspberries. It's fruity and precocious, structured with fine tannin grip and culminating in a finish defined more by fruit sweetness than dosage." It is an offence under the Act to sell liquor to a person under the age of 18 years and for a person under the age of 18 years to purchase liquor. Substantial penalties apply.